Is Blockchain Technology What the Pharma Supply Chain Needs? Most people associate blockchain technology with cryptocurrencies such as Bitcoin, however, this disruptive tech is extremely adaptable. In the most basic terms, it's a digital ledger that can be used to document transactions, financial or otherwise, in chronological order. Once entered into the ledger, information cannot be altered, or deleted, thus ensuring its integrity and authenticity. There is no central authority to control and store the data, rather, every participant in the network shares the current version. In many cases, participants are rewarded with cryptocurrency or tokens that can be exchanged. So, how does this apply to the pharmaceutical industry? It's all about data, more specifically, tracing drugs from the point of origin to the patient, and then collecting information about its use, side effects, etc. There are several potential benefits for drug companies, doctors, and patients and a few downsides as well. The pharmaceutical industry imported nearly $90 billion dollars in 2015, and exported roughly $50 billion. The sheer size of the market is driven by huge demands for drugs of all types, from antibiotics to Viagra. It's estimated that as many as a million deaths are caused by counterfeit drugs each year, and that nearly one-third of all pharmaceuticals in developing countries are fake. Blockchain technology promises to alleviate this issue by tracking drug research, development and distribution through the digital ledger system. The authenticity of a specific medication can then be verified by doctors, patients, and any other stakeholder, thus ensuring that counterfeits are easily detected and pulled from the supply chain before they hurt anyone. The Drug Quality and Security Act (DQSA), enacted by Congress in November of 2013 proposes to build an electronic system to identify and trace certain types of prescription drugs as they are distributed throughout the United States. Blockchain technology is an ideal solution to this regulatory requirement as it is interoperable, permanent and secure. It not only allows companies to track their own drugs, but it also improves the FDA's ability to protect consumers from exposure to drugs that may be harmful due to being counterfeit, stolen, contaminated, or otherwise tampered with. This digital system will also improve how dangerous drugs are detected so they can be removed from the drug supply chain to protect consumers. While the safety of drugs in the U.S. and other developed countries is a concern, developing nations are often on the receiving end of dangerous counterfeit and fake drugs, putting the lives of millions in danger. In fact, the World Health Organization says that one in ten pharmaceuticals sold in developing countries is either counterfeit or fake. Tens of thousands of deaths are attributed to this problem, many of which are children dying from pneumonia and malaria in Africa. 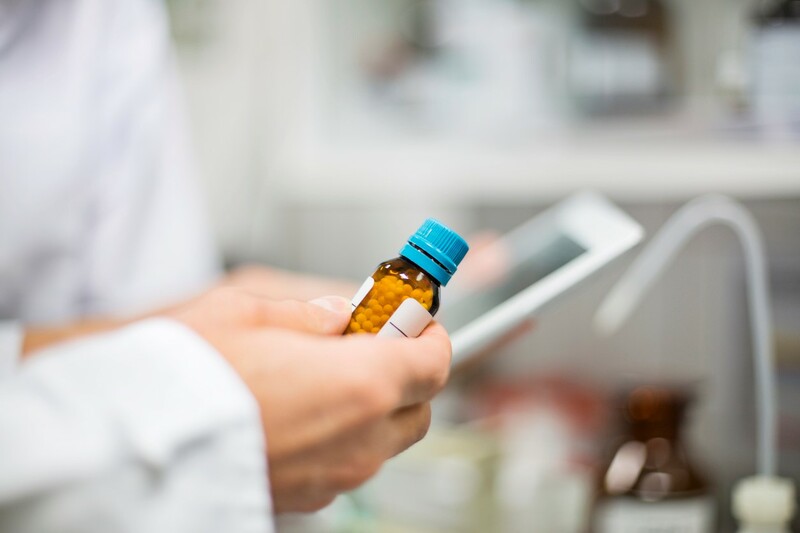 Traceable drug not only ensure that the manufacturer is accurately producing and labeling the products, but also ensures they arrive at their destination without tampering. This is vitally important to the health and well-being of literally millions of people who depend upon life-saving antibiotics and other treatments. As with other industries, leaders of pharmaceutical companies are resistant to change. Their processes and procedures have been honed over many years, and there is a certain amount of risk involved with changing mid-course. For some, there is a trust issue as blockchain technology is so new that it is really misunderstood and mistrusted. However, since the FDA will require that all records are digitized by 2023, resistance is futile, it must be done. It is imperative that every drug company, clinic, distributor, and health care provider not only documents drugs, but also that they share their data with every other player. This may be disruptive to companies that have long been used to doing things their way within the regulatory guidelines, however, it will provide a higher level of safety and security for everyone. One of the main points that is brought up when it comes to implementing blockchain technology is cost. Initially, companies may have a difficult time seeing the potential for a return on investment (ROI) and are therefore skeptical. One solution, similar to that used in cryptocurrency mining, is to provide incentives for participation. In theory, patients and other shareholders would earn tokens, or coins, for sharing their information. In some cases, the coins may only be used within the system, for example a patient may use their coin to off-set medical bills. Likewise, doctors and pharmaceutical companies can earn coins to help pay for their investment into the technology. Other systems may allow the tokens to be exchanged for other cryptocurrency and used in other ways. Either way, the cost of implementation for companies is reduced and the incentives to participate are increased. While there is no doubt that blockchain technology is one of the most useful disruptive technologies that have emerged in the last few years, it has yet to completely take hold in some industries. Experts agree, however, that the pharmaceutical and health care industries will become the second largest industry to use it, with financial services remaining the largest group. As it becomes more widely accepted and adopted, blockchain will ensure that consumers receive safer drugs, encounter fewer counterfeits, and allow them to give feedback to pharmaceutical companies. Doctors and drug manufacturers will gain a better understanding of their products and how they affect those that use them. Finally, the most vulnerable people on the planet will have access to antibiotics, malaria treatments and other drugs that are not only high-quality, but also confirmed legitimate.